Lok Sabha Elections 2019, the festival of democracy, will be held across India in the months of April and May this year. The Election Commission of India (ECI) has announced that this year, every booth will have VVPAT machines along with Electronic Voting Machines (EVMs) to ensure fair elections. The full form of VVPAT is Voter Verifiable Paper Audit Trail. The ECI has made available 17.4 lakh VVPAT machines to be placed across 10.35 lakh polling booths in India. Lok Sabha Elections 2019 Schedule: Voting In 7 Phases From April 11 to May 19, Counting And Results On May 23; Check All Dates For General Elections. The decision to install VVPAT machines at all polling stations comes in the wake of allegations of EVM hacking and demands for transparency during elections in India. VVPATs have been used in India over the past couple of years during Assembly Elections. Election officials undergo training on the functioning of VVPAT machines ahead of polls. EVM & VVPAT Will Continue, Not Going Back to Ballot Paper Era, Says ECI Ahead of Lok Sabha Elections 2019. 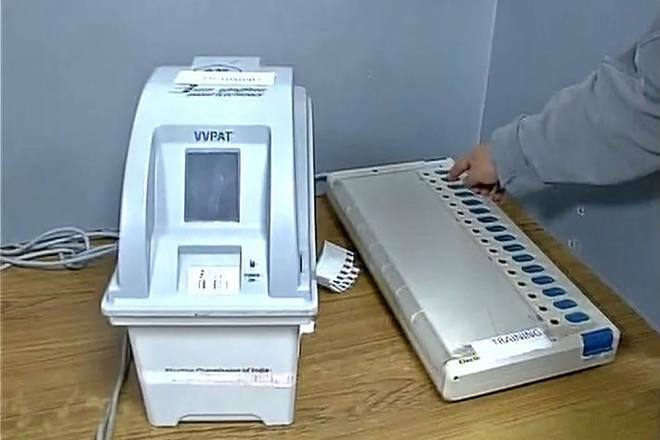 What is a VVPAT machine? The Voter Verifiable Paper Audit Trail (VVPAT) is an independent system attached with the EVMs. It allows voters to verify that their vote has gone to whoever they have voted for. It allows voters to see a printed slip for 7 seconds with the serial number, name and symbol of the candidate they have voted for. How does VVPAT machine work? When a vote is cast through EVM, a slip is printed containing the serial number, name and symbol of the candidate. The slip remains exposed through a transparent window for 7 seconds. The slip then automatically gets cut and falls in the sealed drop box of the VVPAT. VVPAT machines do not use electricity to run. They are powered by a battery backup. How many VVPAT machines will be used in General Elections 2019? The ECI has made 17.4 lakh VVPAT machines available for Lok Sabha Elections 2019. Are all VVPAT slips counted on result day? VVPAT slips are counted on a random selection basis on select booth. However, in case of complaints made by candidates, the Returning Officer decides whether or not the VVPAT slips of the respective polling booth have to be counted. Voting for the Lok Sabha Elections 2019 will take place in seven phases between April 11 and May 19 across the country. The counting of votes will take place on May 23.